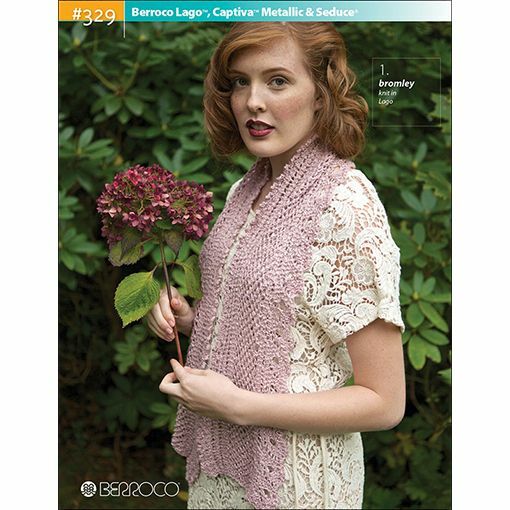 If you love feminine, delicate garments, the Berroco #290 pattern booklet is for you! This is a collection of six gorgeous patterns ranging from tank tops to cardigans. Berroco Lago, Captiva Metallic and Seduce yarns are used throughout these patterns and will add an extra touch of elegance to your wardrobe.